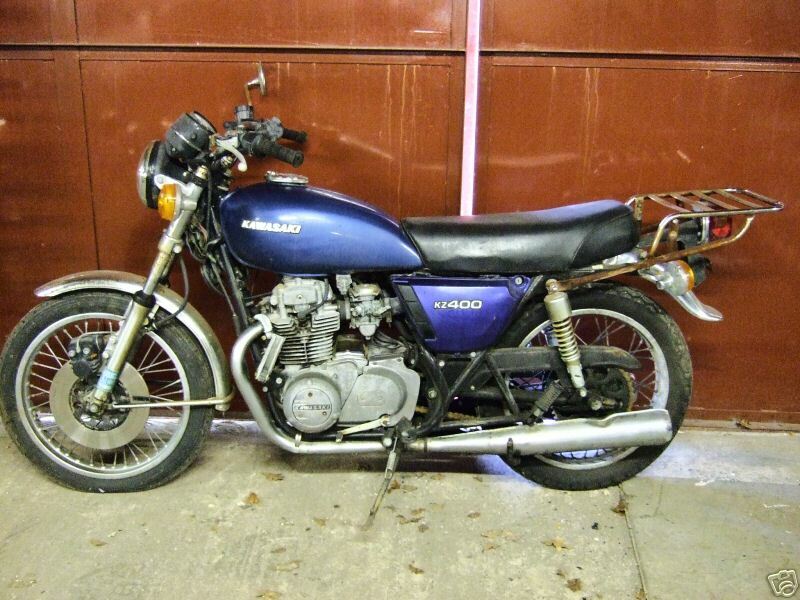 the kawasaki kz400 is 398cc twin cylinder universal japanese motorcycle. this term is blurred today with the various models japan builds. few of which look like the ujm of the 1970s and 1980s. 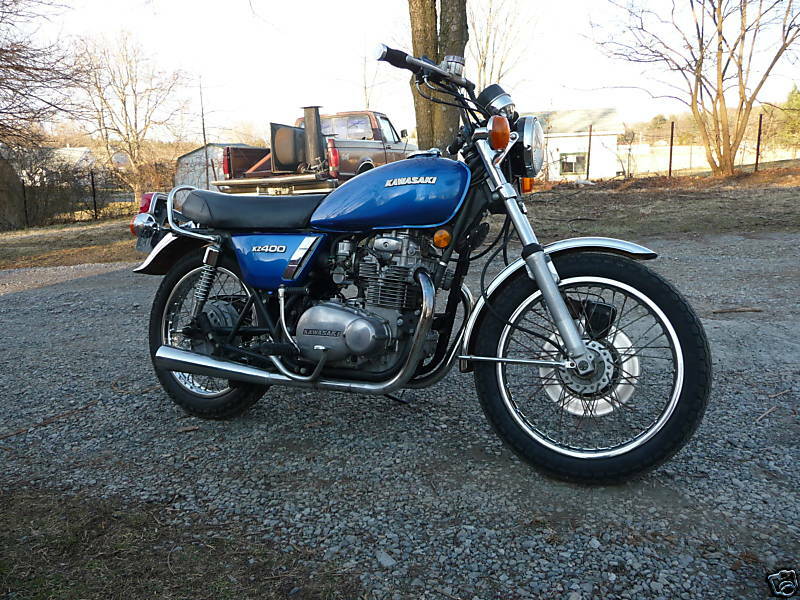 kawasaki produced the kz400 from 1974-1984. some of the later models were 440cc. they were built at plants in akashi, japan and lincoln, nebraska. 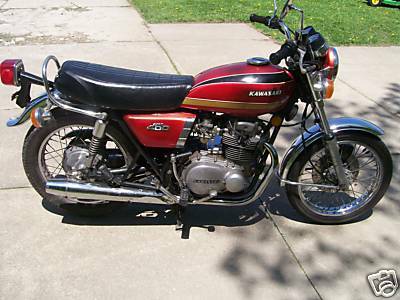 the lincoln plant (1974) made kawasaki the first foreign motorcycle manufacturer to operate a plant in the united states. 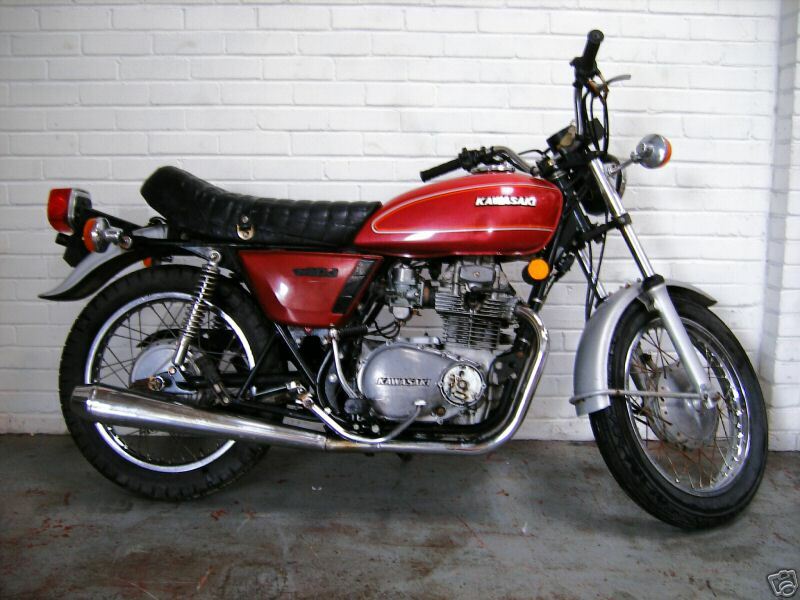 kz400s outsold honda in the 400cc twins market through the 1970s. these motorcycles were marketed as fuel efficient transportation. ads would feature the kz400 next to a volkswagen beetle and the tag line ""think smaller."" us import. the early models were prone to oil leaks and unstable idling. 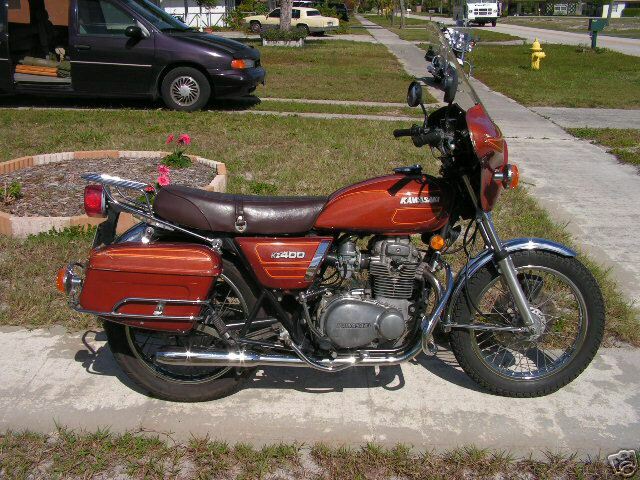 both the carburetors and the design of the oil passages were redesigned for models beginning in 1977. some models were offered bare bones, with no electric start and front drum brakes. most, however, had a single disc in the front and drum in the rear as well as electric and kick starters. deluxe models even had a fairing and saddle bags.